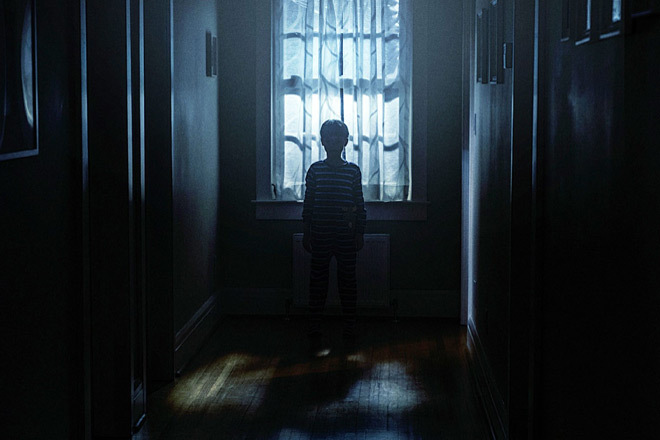 The Prodigy tells the story of John (Peter Mooney) and Sarah (Taylor Schilling), a married couple who have been trying to conceive a child for quite some time. Finally the stars align, and Sarah becomes pregnant, eventually giving birth to a baby boy, Miles (Jackson Robert Scott). From a very young age it was clear that Miles was a special child. He is incredibly bright – begins speaking extraordinarily early, is able to solve math and logic problems well before other kids his age, and has an innate ability to process information around him. Yet, there is something off about Miles. At first, Sarah visits specialists that think Miles has abnormal growth in regions of his brain. While some areas are growing more rapidly than children his age, other areas – specifically ones that deal with socialization and behavior – are behind the curve. This seems plausible to Sarah until Miles begins blacking out and becoming violent. An outburst towards another student leads to Miles having sessions with a psychiatrist, Dr. Strasser (Paula Boudreau). When Sarah overhears Miles muttering what she perceives to be gibberish in his sleep, she makes a recording for Dr. Strasser, who immediately passes it on to her colleague Dr. Johnson (Colm Feore). Sarah meets with Dr. Johnson who believes that another soul might be occupying Mile’s body. As absurd as this may seem, Miles continued erratic and frightening behavior leads Sarah to think maybe Dr. Johnson’s theories aren’t as crazy as she originally thought. Dr. Johnson believes that souls come back to occupy bodies in an effort to complete one final task. The question is, who’s soul is in Mile’s body and what does it want? The Prodigy doesn’t reinvent the wheel and follows many of the same ‘possessed child terrorizes his parents’ clichés we’ve seen in the past, yet Director Nicholas McCarthy and writer Jeff Buhler manage to create an atmosphere of suspense and dread during the film without having to resort to many cheap scares or an overabundance of blood and gore. Many classic horror film techniques are used, such as the typical eerie music, the slow camera movements that sweep across a room, the long shots of hallways and basements with one central light in the scene trying to draw the audience’s eyes towards it. 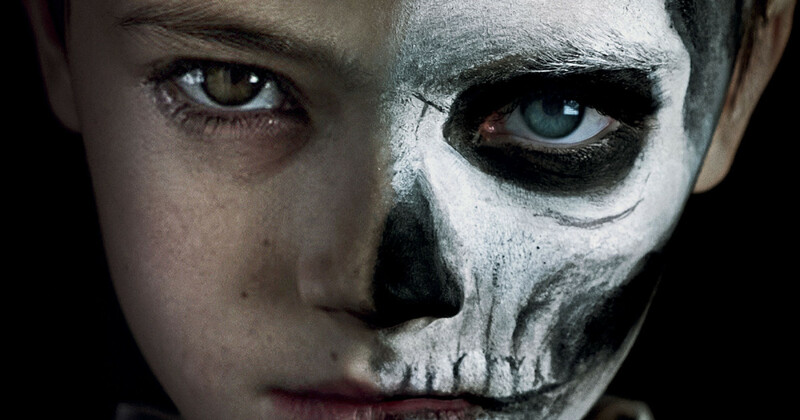 The Prodigy plays with the idea of dual personalities, or in this case dual souls – and it isn’t shy about making it perfectly clear what is happening. Not only does Mile’s behavior drastically change, but we get blatant visual cues like Mile’s only wiping off half of his Halloween skeleton makeup and only half of his face being framed in shots. Schilling and Scott give strong performances which carry the film and help you overlook some flimsy plot pieces and general absurdity. Their performances coupled with strong direction make The Prodigy an interesting watch for a matinee or future Redbox rental.